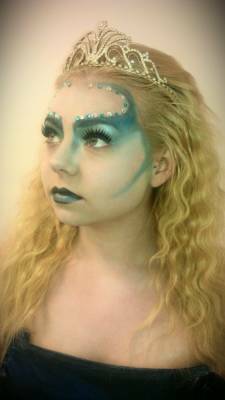 Hi there, my name is Rebekah Falconer aka Sugar and Spice and All Things Nice Make Up Artistry. I am 19 and I have an NQ in Make Up Artistry and I am currently continuing my studies doing HNC Fashion Make Up at Ayrshire College formerly known as James Watt College. Throughout this year at college i will need a range of models including women of colour and men as well as mature and young skin. I will also be looking for some photographers to work with through the year too. As I am a student I will mostly be doing time for print work types with everyone but may be willing to consider payments depending on the circumstances.